Rustic weddings, and out door weddings in general are great. We’ve been Leeds Wedding Photographers for 5 years now, so we know many venues intimately. 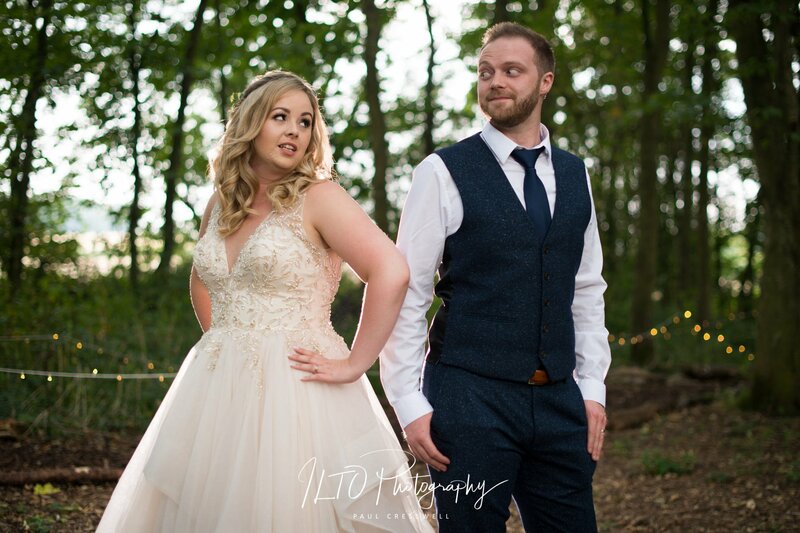 However, we’ve been treated to a whole host of new venues for us this year, and Applewood, near Leeds, is a strong contender for venue of the year… thanks to Laura and Dave picking it to host their wedding! Onto the venue, and I felt like a kid at Christmas! Soooo many possibilities! Guests seated, the bridesmaids were came slinking their way down through the trees, towards the aisle, closely followed by Laura. Smiles aplenty as they walked towards Dave, and 10 minutes later, they were the new Mr & Mrs Garfoot! Honestly, if you want an outdoor wedding, that’s in the heart of West Yorkshire, give Applewood a shout – you really won’t regret it! Confetti, bubbles, a TeePee, Fairy lights, a Gin Bar & nature – what’s not to like! Here’s a link to another rustic wedding also, if you liked this one of course!